When is the right time to migrate my community to Lightning Experience? What will I get and what will I miss? How should I go about migration? 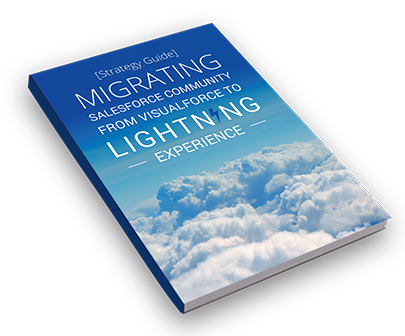 Written by seasoned developers, the strategic guide tells the story of company X that partnered with Grazitti to move their online community from Visualforce to Lightning. The technical steps have been included to get you started right away. Fill the form to download your copy of our free strategic guide. Thanks for downloading. You will shortly receive the Guide in your inbox.